Taking into account the analysis of the situation and recommendations made by the French authorities, Air France is temporarily suspending flights to Freetown in Sierra Leone from Thursday 28 August 2014. 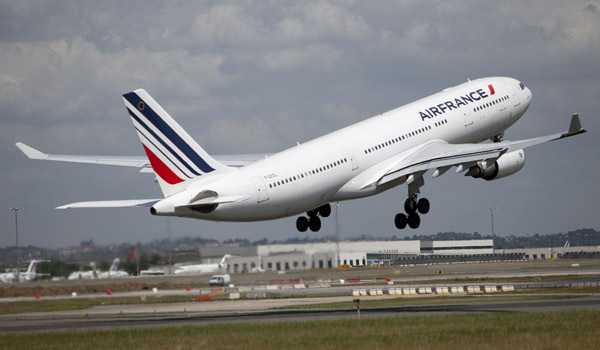 Air France highlights the fact that the recommendation made by the French authorities is unrelated to the safety of the air connection it operates between Freetown and Paris. The quality of the provisions put in place by the local authorities at Freetown airport, with the help of Air France, has not been called into question. Following analysis of the situation and as requested by the French government, Air France confirms that it is maintaining its flight schedule to and from Guinea (Conakry/1 flight a day) and Nigeria (Lagos/1 flight a day). On site, the health arrangements defined and implemented by the Authorities in each airport guarantee that no passenger with symptoms of Ebola haemorrhagic fever will be allowed to board. The health authorities and Air France are continuing to monitor the situation in real time in the area in which permanent epidemiological monitoring is in place. Customers affected by the suspension of Paris-Freetown flights will shortly be contacted by the company, who will offer to re-route journeys or refund tickets. Air France’s highest priority is to ensure the safety of its customers, its flight crews and its ground crews.